Avitaween is one of the premier annual blogging events [the other one I’ve been to is TequilaCon] and this was my first time attending. 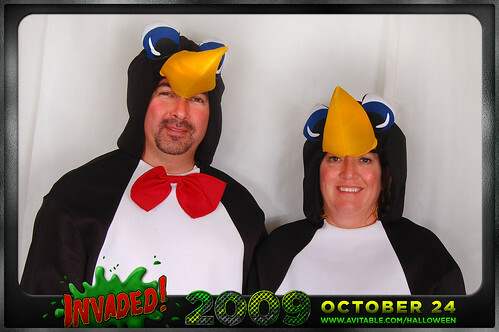 As you can see from the first photos, my wife and I attended this event as penguins. 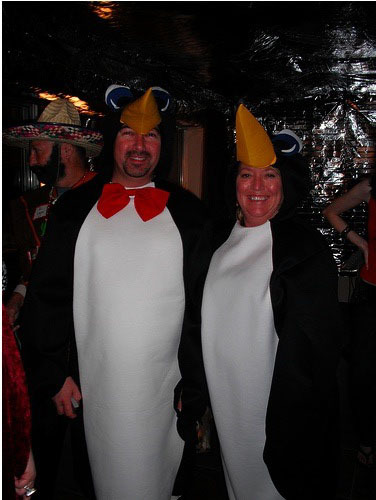 Think “March Of The Penguins” with alcohol and other invaders. 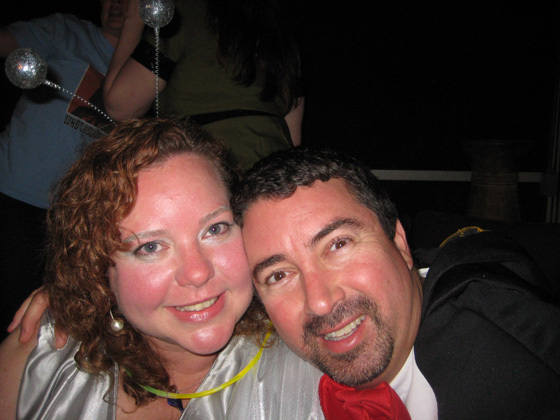 The party was a huge success, with Adam doing so much to put it all together. I can’t thank him enough for the great job and massive effort he went through. Also, there were so many cool people there – some of which I hadn’t met before. I’ve previously posted a photo of meeting Hilly for the first time, but I also got to meet Becky – hellohahanarf. Becky and I have been wanting to meet for some time. And we finally did. And of course, I got to meet up with Dave from Blogography again. Always a pleasure to meet up with the King of the PRB. Adam also had a wall of photos of people’s vacation photos with “reported sightings” This is the one I sent in of Reba and I at Rockefeller Center in NYC. 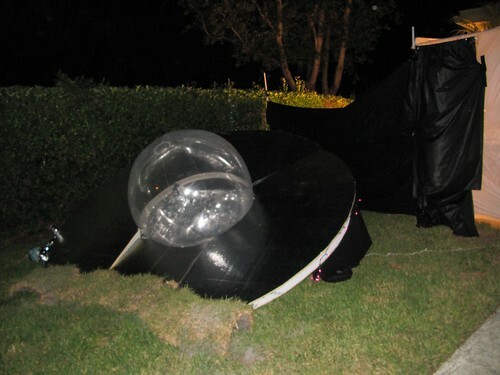 Click here to view the Alien Sighting photo set. As Adam pointed out in the comments, there were studio photos that were taken during the Avitaween party. Here’s the link to the entire set of studio photos. meeting you (and the wonderful reba!) certainly was a highlight of my avitaween adventure. now, when can we get together again? So glad you had heaps of fun!! Is it time for Avitaween again? Woot! Great pictures! I am still jealous that I didn’t get to go and especially didn’t get to meet you two this year. WAH. 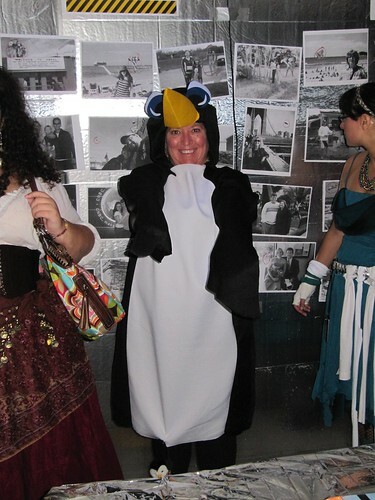 penelope – I think I’m part penguin, which makes wearing the costume a natural thing. ren – Only 345 more days to Avitaween (or something like that). TequilaCon will most likely be the next time we’ll meet up, unless the stars align themselves for a day or two for me to be in Vegas next month. You and your wife are SO CUTE! I love those costumes! Where did you ever find them? It was so great to meet you at the party! Those costumes were so cute! I love the Rockefeller Center pic. Really well done mate. kilax – Thanks, Kim. We found them at a local store here in Utah called ShopKo. As soon as we saw them, we knew what we were going to Avitaween as. lisa – Thank you Lisa.. and it was very nice to meet you as well. kevin – Thank you. That trip to NYC was great. 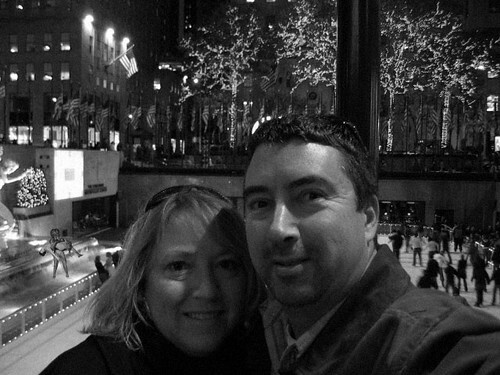 Rockefeller Center was awesome. 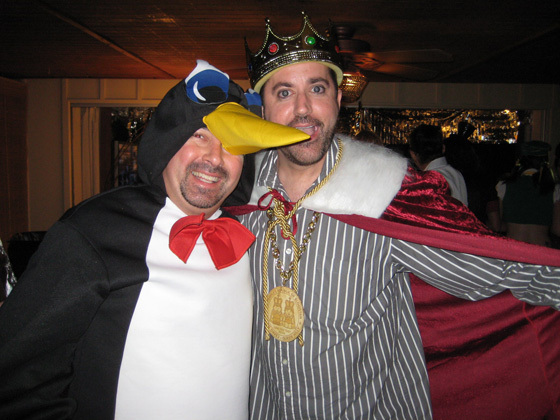 nilsa – You know, I enjoyed the “don’t have to loosen your belt after drinking” the penguin costume gave me. I made sure I drank enough for that. avitable – Thanks. And thank you for adding the link. I had thought I added that at the end. Those studio photos were a great thing. Thanks to you and Mew for providing that… and of course, the entire party. Can’t wait for 2010.